Angel Fire (AF) is a wide field of view persistent surveillance (WFVPS) aerial collection asset. Angel Fire, primarily developed by engineers at the AFRL and Los Alamos National Laboratory, N.M., is a wide field of view persistent surveillance aerial collection asset. The technology was designed to provide a dedicated near-real-time imagery sensor and distribution system to commanders and units at the tactical level. Angel Fire is the first system of its kind to provide real-time, persistent, wide area intelligence, surveillance and reconnaissance to a ground commander at a tactical level. Angel Fire provides "Google Earth and TiVo-like capabilities on steroids" to the ground commander. The Angel Fire concept allows aircraft to watch over ground troops to detect snipers on the rooftops or enemy mortar teams six blocks down who are firing at them. This bird's eye-view of the battlefield provides real-time intelligence to troops on the ground. The warfighter identifies a flaw or deficiency in some aspect of getting the mission completed. The people at home use those "wish list" items to create new technologies to better protect warfighters and safeguard future operations. It is the convergence of these two principles that are having a direct impact on the emerging technologies in current and future military operations. Deputy Under Secretary of Defense for Advanced Systems and Concepts, John Kubricky, announced the selection of new start projects being funded in Fiscal Year 2007 under the Comparative Testing Office (CTO) Defense Acquisition Challenge (DAC) and Foreign Comparative Testing (FCT) Programs. The DAC Program shows the enthusiasm of domestic industries, especially those that are not major defense contractors, to "challenge" current acquisition programs at the component, system, or sub-system level. The Angel Fire Situational Awareness of Large-Area Urban Operations Defense Acquisition Challenge (DAC) project was to evaluate "Angel Fire", a tactical situational awareness system developed by a team made up of the Air Force Institute of Technology, and Air Force and Naval Research Laboratories, participating with Dayton Aerospace of Dayton, Ohio; Illunis LLC of Minnetonka, Minnesota; and Kitware, Inc. of Schenectady, New York. Angel Fire provides real-time, very high resolution, high-definition city-sized images of infrastructure, vehicles and personnel. This detailed coverage is designed to enhance tactical support, forensic and predictive analysis, which in turn directly supports urban combat, base defense, border security, improvised explosive device detection, and other anti-insurgency / counter-terrorist efforts. Its capabilities were demonstrated to the Marine Corps throughout 2006 during Mojave Viper exercises in Twenty-nine Palms, CA. 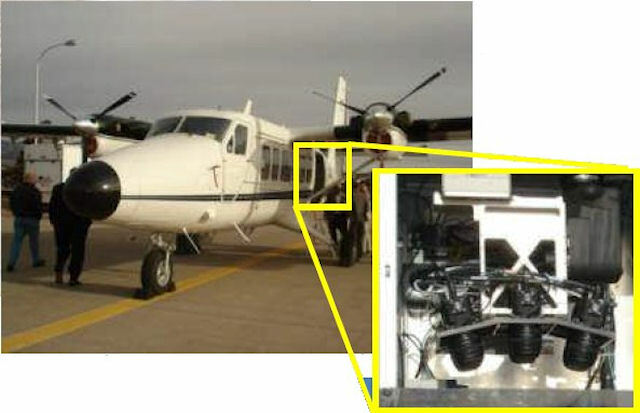 In June 2006 AFRL engineers conducted joint data collection with representatives from the Air Force Institute of Technology, Strategic Communications, and Los Alamos National Laboratory to support development of the Angel Fire airborne electro-optical sensor and the Goals, Objectives, Technical Challenges, and Approaches-based, or "GOTChA," synthetic aperture radar sensor. Angel Fire is a rapid-response program developed to meet a need for a persistent staring reconnaissance capability supporting force protection efforts. GOTChA provides a similar capability using radar sensors with an all-weather/nighttime capability. 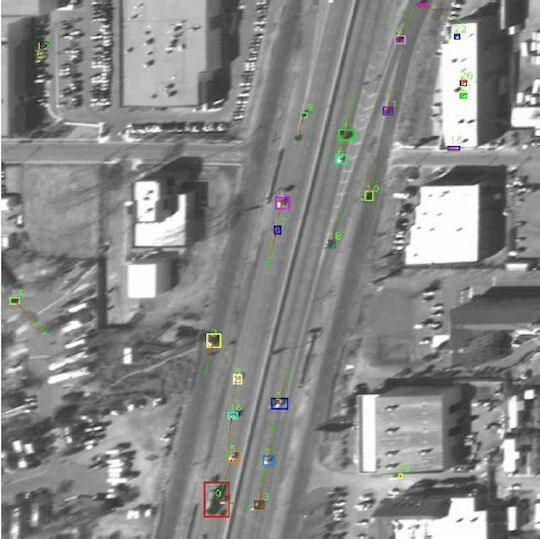 Angel Fire and GOTChA sensors each collected imagery while monitoring vehicle and pedestrian traffic and several urban warfare scenarios. The team's data collection generated nearly 20 terabytes of radar and optical imagery data, which will support further sensor development efforts. After capability exercises in California demonstrated the system's ability to provide dedicated persistent surveillance, the Marine Corps sponsored the program for use in the Operation Iraq Freedom theater of operations. "TiVo-like" rewind function enables access to archived combat data in order to facilitate forensic and post-event analysis. This capability provides value to the tactical commander operating in an irregular warfare environment. The system's backers feared it would be killed in 2006 in an inter-service turf battle. While the Marine Corps and the Air Force, supported Angel Fire, the Army which backed their Constant Hawk surveillance system, which surveys a much larger area. The drawback with Constant Hawk is that is is more difficult to use and generates video that can be exploited only by trained analysts. AF is a material solution to Marine Forces' articulated lack of dedicated persistent surveillance assets in the Iraqi theater of operations. The Persistent Intelligence, Surveillance, Reconnaissance (ISR) strategy is a component of the Marine Corps ISR-enterprise that supports Marines across the spectrum of military operations. Its focus is the capability to integrate the network of air, ground, and space sensors with sufficient fidelity to detect, locate, identify, track, and target threats; this includes reducing the effectiveness of improvisedexplosive devices (IEDs) through the identification of personnel, activities, and facilities associated with the manufacture and emplacement of IEDs. In late 2006, the Marine Corps, together with AFRL and LANL, obtained both Joint (via the Joint Improvised Explosive Device Defeat Organization) and service funding for an operational assessment of AF. Angel Fire was designed to provide a dedicated, NRT imagery sensor and distribution system to commanders and units at the tactical level. AF began its operational assessment in support of MNF-W in August 2007. This WFVPS capability was fielded in response to an urgent requirement for a dedicated, near real time, imagery sensor and distribution system with forensic capability for tactical level (i.e., battalion) commanders and units. Operators watched several improvised explosive devices explode and were able to help the Marines determine where they came from. They also provided USMC ground commanders surveillance of their units in the field as they patrolled different areas of operation which enabled them to watch their flanks and identify potential trouble before it developed." On top of tactical operations, Angel Fire also enabled ground commanders to monitor different civilian events like protests and the Al Anbar Provincial Change of Control ceremony to identify potential trouble spots before they got out of control. Prior to 2008 and Angel Fire, the Counter Improvised Explosive Device Network Defeat system focus was device centric, which required large reserves of manpower to locate and disable each device to react to insurgent efforts. Angel Fire changes the focus and defeats the system or network in a proactive way, acting as pioneer in the irregular warfare initiative by the Air Force. The WFVPS grid coverage is superior to current Unmanned Aerial Systems (UAS) in that a typical UAS images a relatively small constantly changing area as the air vehicle moves. AF provides a larger, persistent, geo-rectified image with archival capability. While it's wider angle lenses typically result in a loss of detail when compared to a UAS, AF's sensor design and software mitigates this limitation. AF is able to maintain an approximate .5 meter ground sampling distance, a resolution sufficient for identifying dismounted personnel. Angel Fire (AF) provides continuous surveillance over a large area with a 66 Mega Pixel image covering 4km x 4km. AF provides an opportunity to detect and track large number of moving objects over long period of time and over a large area. Maintain track for non-overlapping sensors. A manned aerial platform with a belly mounted electro-optic sensor. The long-term goal is to mount the WFVPS sensor package on a UAS. The ground receive station, servers, and workstations enable analysts to view data within a ten second latency period at a rate of 1-2 frames per second. One or more servers allow analysts to access the imagery in small, user-defined packets thereby minimizing bandwidth requirements. Multiple users may also simultaneously access data independent of each other. Stored data is accessible in the same manner as the NRT data; imagery storage is only limited by user requirements and disk space. The workstation allows the analyst/viewer to interface with the sensor via controls for zoom, pan, tilt, and the imagery's speed. A "TiVo-like" rewind function enables access to archived data in order to facilitate forensic and post-event analysis. This capability provides value added to the tactical commander operating in an irregular warfare environment. As a dedicated WFVPS capability, AF provides tactical commanders with enhanced situational awareness and more precise targeting, thereby increasing operational flexibility, speed, and lethality. AF also enables additional flexibility in managing low density/high demand intelligence, surveillance, and reconnaissance assets. This is one (1) suite, consisting of four (4) sensors, deployed in Operation Iraqi Freedom. The purchase and deployment of additional sensors depend upon operational force feedback and the technical readiness of enhanced capabilities. The Developer/Manufacturer is the Air Force Research Laboratory, Los Alamos National Laboratory, CA. On September 18, 2008 Goodrich ISR Systems (formally Recon/Optical Inc.) Barrington, Ill., was awarded a $10,350,998 firm-fixed-price contract for seven CA-247 cameras to be deployed in Iraq. At that time, the existing CA-247 camera system was being tested and was scheduled to transition to the Marine Corps in Sept. 2008. The development of the CA-247 camera was to develop special optics, special housings, and special software in support of adapting their current line of barrel sensors to the sensor with appropriate imaging capabilities and an appropriately large field of view to be capable of Wide Area Persistent Surveillance [WAPS]. Work was to be performed in Barrington, Ill., and work is expected to be completed in Sept. 2009. Contract funds will not expire at the end of the current fiscal year. This contract was procured under an other than full and open competition. The Naval Research Laboratory, Washington D.C., is the contracting activity (N00173-08-C-2134). Launched in 2007 by Recon/Optical (part of Goodrich ISR from July 2008), the CA-247 infrared framing camera was designed to address the need for high resolution, wide area coverage and persistent reconnaissance in a variety of platforms. It is perceived to bridge the gap between large sensors and much smaller, turret-mounted FLIRs. The Recon Optical CA-247 infrared (IR) framing camera fills the need for high-resolution, wide-area coverage, persistent surveillance on a variety of airborne platforms. The CA-247 incorporates the largest mid-wave infrared (MWIR) detector available (4-Mpixel), producing high-resolution infrared imagery, day or night. It covers 13 times more ground area than a standard 640 x 840 FLIR at equivalent resolution. A step-stare, gimballed option operates at 4.5 frames per second with an integral GPS/INS for geo-positional accuracy. Network interfaces for camera output and command/control permit remote operation with up to 6-8 hours of continuous operation. The NITF 2.1 compliant image output has full metadata support. Its small size enables installation of the CA-247 in various platforms, including unmanned aerial systems (UAS) and business-jet sized commercial aircraft.